Bidgely, the world leader in disaggregation-powered utility solutions, today announced that it is on track to cross over two million homes served by its HomeBeat platform by mid-year 2017. 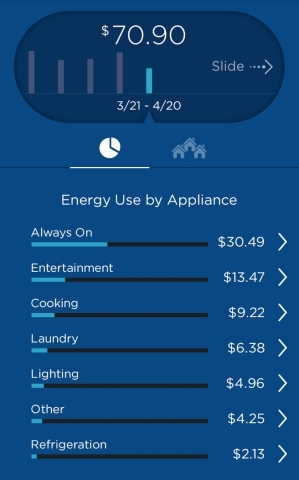 The company completed a strong year of business growth in 2016 with several multi-million dollar contracts, including sales of an alerts system to one of the largest utilities in the U.S., the HomeBeat mobile app to a large mid-Western IOU, and a disaggregation-powered consumer audit to another large IOU. Over the last year, the company exceeded its sales goals, launched new product features such as alerts and a home assessment tool, and expanded its global presence to Europe and Asia Pacific. For deployments already in place, Bidgely’s platform showed consistently proven results, with Energy Efficiency savings of over 2% at London Hydro and Demand Response results of 30% peak shift at United Energy. One of the largest utilities in the United States chose Bidgely to deliver an alerts system to its customers to reduce bill shock and increase consumer education. After a highly competitive RFP process, a Canadian utility chose Bidgely for its consumer engagement solution. The deployment is in final test phase. A large mid-Western IOU chose Bidgely’s energy analytics and mobile app to drive energy savings and customer engagement. A large IOU chose Bidgely to deliver a disaggregation-powered consumer audit. The multi-year contract will cover over a million homes. Alerts: Disaggregation-powered alerts notify consumers about high usage and provide guidance on causes. 100% itemization: 100% of energy consumption is itemized into appliance categories by combining data-based disaggregation and statistical modelling. Home Energy Assessment Survey / Audit tool: Bidgely’s disaggregation optimizes participation and completion rates for consumer home energy assessment surveys and audits. Omni-channel: Bidgely’s platform enables utilities to reach 100% of consumers with a combination of opt-in (mobile, web) and opt-out (email, SMS, paper) channels. Bidgely will be exhibiting these new features at Booth #3703 at the upcoming Distributech event in San Diego. Bidgely is transforming the way utility customers use energy. By combining the power of SaaS-based analytics with consumer-friendly Web and mobile applications, Bidgely provides personalized and actionable insights that help customers save energy and enable utilities to build enduring customer relationships. The company works with utilities serving residential customers worldwide. For more information, please visit www.bidgely.com.